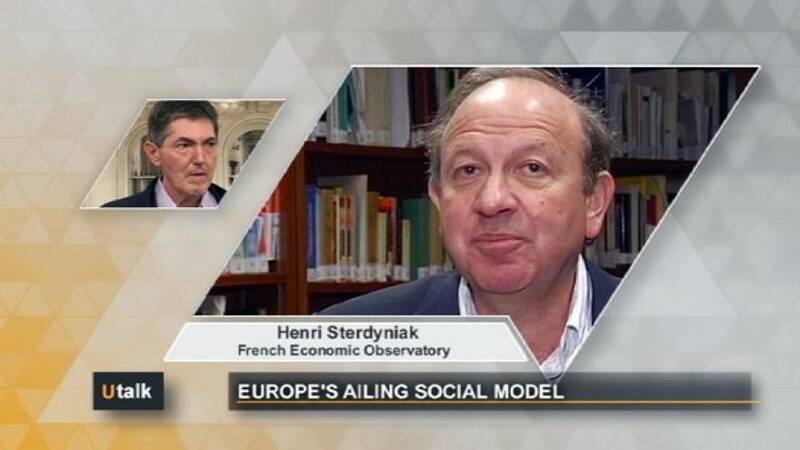 “Right from the start, there have been two concepts of Europe: on one hand, Europe is constructed to defend and develop the European social model, which is a sort of compromise between capitalism and socialism, which is a model based on a high level of public spending, a very protective law for workers and a strong system of redistribution. “On the other hand, European is also designed so that member states lean towards the Anglo-Saxon model, towards the liberal model. “So, liberal reforms must be undertaken to decrease the advantages of social protection advantages, to decrease public spending,to deregulate the labour market. And it’s this second concept that’s increasingly holding sway in Europe. It’s being pushed by the leadership class, by European technocrats. It was facilitated by the entry of Great Britain into the EU and then the new Eastern members. “And so, little by little, Europe became dominated by liberal thinking and the European left was unable to respond. “In some countries, notably the northern states and Germany, the left and union movement have accepted the idea of competitiveness and accepted reductions in social protection, reductions in salaries to protect their competitiveness. But experience shows us that that has limited growth and caused disparities in Europe. “So the questions today, after the financial crisis, are these: ‘Can we continue to put into place austerity policies that are going to continually reduce social spending? Can we call on the working classes of every country to battle each other, setting one against the other in accepting ever decreasing salaries? Are we always to employ the liberal model, dominated by the financial markets, as our objective?.